Seattle Reign FC scored in the 90th and 92nd minutes to come from behind for a 2-1 win over the Chicago Red Stars in front of a crowd of 2,876 at Toyota Park in Bridgeview, Illinois on Wednesday night. Reign forward Nahomi Kawasumi scored in the 90th minute and rookie forward Katie Johnson scored in the 92nd minute as the Reign turned a 1-0 deficit into a 2-1 win in a span of two minutes. The win vaults the Reign back into fourth place with 27 points (7-5-6 record), one point ahead of the Orlando Pride, with both teams having now played the same number of games. It’s only the second time in NWSL history that a team has come back to win a game after trailing in the 90th minute or later. The Orlando Pride achieved the feat last July vs. the Boston Breakers when Kristen Edmonds scored in the 90th and 94th minutes. Chicago Red Stars forward Jen Hoy opened the scoring in the game, giving the home side the 1-0 lead in the 23rd minute. After some nice dribbling on the right side near the top of the 18, Red Stars midfielder Taylor Comeau served a high cross to the left side of the box. Hoy beat her defender and headed it past Reign goalkeeper Haley Kopmeyer for her first goal of the season. The Red Stars had a number of chances to double the lead in the second half, but were thwarted by Kopmeyer and the post. In the 66th minute, a Sofia Huerta shot from distance forced a diving save from Kopmeyer. Vanessa DiBernardo chased down the rebound, passing it back to Huerta for another chance, but Huerta’s shot went off the far post. DiBernardo had a shot of her own in the 67th minute, also saved by Kopmeyer. Then in the 70th minute, Kopmeyer stopped a point-blank header by Morgan Proffitt following a Red Stars corner kick. Then in the 90th minute, Seattle would finally get on the board. Reign midfielder Rumi Utsugi intercepted an attempted Red Stars clearance and passed it into the box as Kawasumi made a darting run into the area. Kawasumi dribbled to the top of the 6-yard box and then cut the ball back, making her defender fall, before firing a right-footed shot past two Red Stars defenders and goalkeeper Michelle Dalton to level the match. Two minutes later, the Reign would grab the win. Midfielder Jess Fishlock played a long ball over the top as Johnson made a run. Johnson brought the high ball down with one touch, letting it fall into the path in front of her, and with her next touch, slotted it past Dalton to the near post for the game-winner. 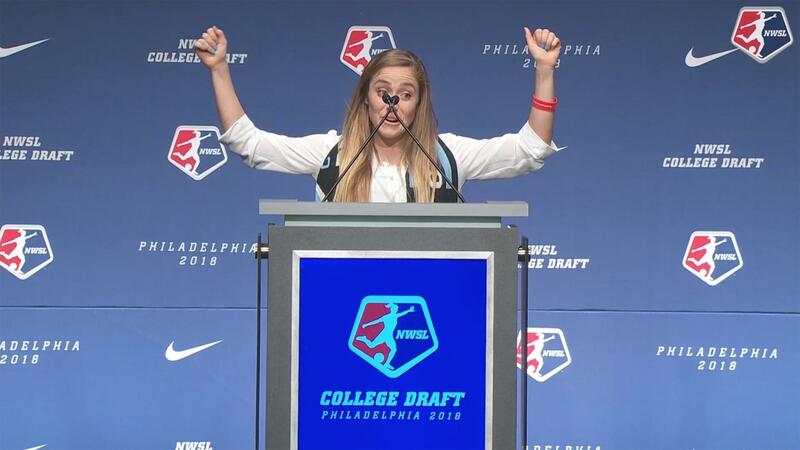 Dalton started in place of Alyssa Naeher, who had yet to miss a minute this season, but was listed on the injury report as questionable with a right groin strain. With the loss, the Red Stars fall to 8-5-5 and remain in third place with 29 points. Match ends, Chicago Red Stars 1, Seattle Reign 2. Second Half ends, Chicago Red Stars 1, Seattle Reign 2. Goal! Chicago Red Stars 1, Seattle Reign 2. Katie Johnson (Seattle Reign) right footed shot from outside the box to the bottom right corner. Assisted by Merritt Mathias with a through ball. Goal! Chicago Red Stars 1, Seattle Reign 1. Nahomi Kawasumi (Seattle Reign) right footed shot from the centre of the box to the bottom left corner. Assisted by Rumi Utsugi. Substitution, Chicago Red Stars. Stephanie McCaffrey replaces Vanessa Di Bernardo. Attempt missed. Carson Pickett (Seattle Reign) left footed shot from outside the box is high and wide to the left. Attempt missed. Christen Press (Chicago Red Stars) left footed shot from a difficult angle on the right is high and wide to the left. Assisted by Morgan Proffitt with a headed pass. Substitution, Seattle Reign. Larissa Crummer replaces Christine Nairn. Christine Nairn (Seattle Reign) is shown the yellow card for a bad foul. Corner, Seattle Reign. Conceded by Alyssa Mautz. Attempt saved. Morgan Proffitt (Chicago Red Stars) header from very close range is saved in the top centre of the goal. Assisted by Vanessa Di Bernardo with a cross. Attempt saved. Christen Press (Chicago Red Stars) right footed shot from a difficult angle on the right is saved in the bottom right corner. Attempt missed. Christine Nairn (Seattle Reign) left footed shot from outside the box is high and wide to the left following a set piece situation. Substitution, Seattle Reign. Merritt Mathias replaces Kiersten Dallstream. Attempt missed. Arin Gilliland (Chicago Red Stars) header from the right side of the six yard box is close, but misses to the right following a corner. Attempt saved. 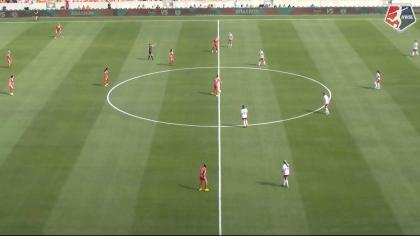 Vanessa Di Bernardo (Chicago Red Stars) left footed shot from the centre of the box is saved in the centre of the goal. Assisted by Sofia Huerta with a through ball. Sofia Huerta (Chicago Red Stars) hits the right post with a left footed shot from the left side of the box. Assisted by Vanessa Di Bernardo. Offside, Seattle Reign. Christine Nairn tries a through ball, but Nahomi Kawasumi is caught offside. Offside, Seattle Reign. Haley Kopmeyer tries a through ball, but Katie Johnson is caught offside. Attempt saved. Vanessa Di Bernardo (Chicago Red Stars) right footed shot from outside the box is saved in the centre of the goal. Assisted by Sofia Huerta. Attempt missed. Nahomi Kawasumi (Seattle Reign) left footed shot from outside the box is high and wide to the left following a corner. Offside, Chicago Red Stars. Sofia Huerta tries a through ball, but Vanessa Di Bernardo is caught offside. Morgan Proffitt (Chicago Red Stars) wins a free kick in the defensive half. Second Half begins Chicago Red Stars 1, Seattle Reign 0. First Half ends, Chicago Red Stars 1, Seattle Reign 0. Jennifer Hoy (Chicago Red Stars) wins a free kick on the left wing. Attempt missed. Christine Nairn (Seattle Reign) right footed shot from the centre of the box is too high. Morgan Proffitt (Chicago Red Stars) wins a free kick in the attacking half. Attempt saved. Lindsay Elston (Seattle Reign) left footed shot from outside the box is saved in the centre of the goal. Offside, Seattle Reign. Christine Nairn tries a through ball, but Kiersten Dallstream is caught offside. Attempt missed. Rachel Corsie (Seattle Reign) header from the centre of the box misses to the left. Assisted by Lauren Barnes with a cross following a corner. Attempt blocked. Christen Press (Chicago Red Stars) left footed shot from the centre of the box is blocked. Goal! Chicago Red Stars 1, Seattle Reign 0. Jennifer Hoy (Chicago Red Stars) header from the centre of the box to the centre of the goal. Assisted by Taylor Comeau. Offside, Seattle Reign. Haley Kopmeyer tries a through ball, but Lindsay Elston is caught offside. Attempt saved. Christen Press (Chicago Red Stars) left footed shot from outside the box is saved in the centre of the goal. Rebekah Stott (Seattle Reign) wins a free kick on the right wing. Corner, Seattle Reign. Conceded by Taylor Comeau. Attempt saved. Christine Nairn (Seattle Reign) left footed shot from long range on the right is saved in the centre of the goal.